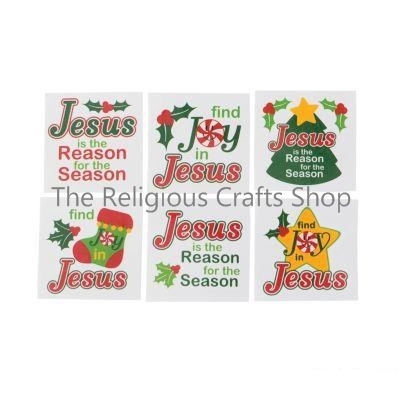 Pack of 12 Christian Tattoos. Celebrate Christmas with these colourful and bright tattoos. Easy to apply and remove. Tattoos measures approximately 3cm.